Marketing continues to evolve--from vendors hawking their wares in the agora to today's online age of display, paid search, and social media posts--and those selling goods and services have had to adapt to new methods of informing the public about their offerings. Yet, as has always been the case, it doesn't matter if you have the best product or service on the market if the people who need it don't know it exists. So how does the near-omnipresent world of social media fit into today's marketing mix? Nearly 70 percent of U.S. adults use at least one social media site. That's more than 200 million people. While the largest user group is still those aged 18 to 29, with 86 percent using at least one social media site, the gap with older generations is rapidly closing: 80 percent of those aged 30 to 49 are using at least one site, as are 64 percent of those aged 50 to 64, according to the Pew Internet 2016 Media Fact Sheet. As a business, your goal is to get in front of those people who want or need your product or service--and that is the strength of social media. 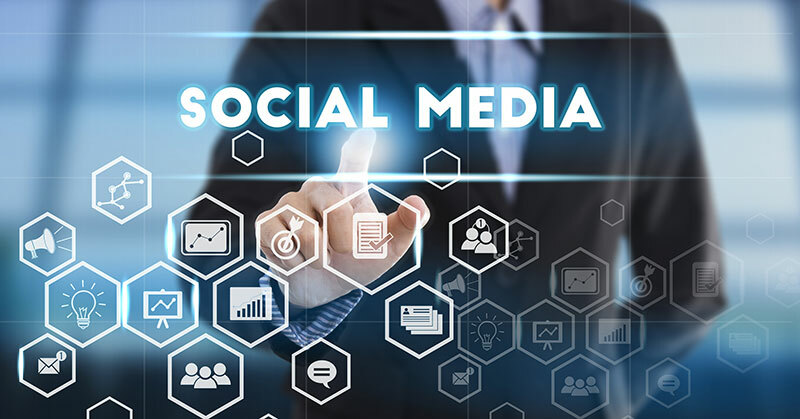 Thanks to the information collected by the sites they are using, the social media audience is large and easily sorted and targeted. 1) What platform is the best to use? Facebook boasts the largest number of users, but Instagram has the greatest level of engagement, especially among Millennials, according to TrackMaven's 2016 Social Media Impact Report: B2C Industry Edition. 2) Will you benefit more from brand recognition and name building or lead generation at the moment? No matter your answer, a bit of research can help you ensure that you're hitting your goals and seeing a return on your marketing dollars. Set benchmarks for what you will consider a successful campaign. Make sure those benchmarks are realistic and align with your overall business goals. Use historical data from other marketing efforts to guide your thresholds, along with industry information regarding what you can expect from the site you're advertising on. Even if you have to change your goals a bit as you go along, you need to ensure you have targets set up in the beginning to track your efforts. Otherwise, you're throwing darts in the dark. You clearly want to have a higher conversion rate than average. One way to do that is through detailed audience targeting. You can start by targeting your followers. They've already shown interest in your business and are likely to be paying attention. Next, retarget those who have visited your website but didn't convert. The next bit gets a little trickier and depends on your business. Some will benefit from income or location-based targeting, while others will see greater returns from interest and gender targeting. You know your audience and can probably answer most of these questions without much difficulty. The key, though, is testing your campaign once it's up and running. Check who's clicking your ads through the ad analytics offered by the social media site. If you have an offer running, look at who is clicking but not converting. Run multiple ads with different images. Or leave the image the same but change your copy to see which gets more clicks. There are a lot of variables you can test, but make sure you're testing only one at a time so you can identify the deciding factor. As you go along, keep in mind that it's going to take more than one ad to figure out what works for you and what doesn't. As with any medium, there will be a bit of trial and error. The nice thing about social media, however, is that you can change your tactics while the ad is still running. On most sites, your targeting can be altered from day to day. You can test one ad today and another tomorrow. It's fast-paced and ever-changing, but you can make that work to your advantage. Plus, this is only the paid side of social media. There's a whole other discussion to be had about unpaid posts and promoting your business through brand building and thought leadership. But that's for another time. For now, research, set goals, start your campaign, and test, test, test. Shawna Ford is a marketing coordinator at Mindstream Media, a digital marketing and ad agency. She has a background in public relations and copywriting, is the primary editor of Mindstream's social media accounts and client portal, and has written for multiple publications.